Lunch time for me, is time to refresh myself. It’s a time when I try to daily to take 10-15minutes out of my lunch time to close my E-mail client, stop all work and take my mind away from the day’s work. 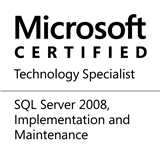 I spend the time learning about anything I am in the mood for – science, sports and SQL Server (of course!). If you use a train or a bus to commute to and from work, you might be using your smart phone to check out your personal E-mail, listen to music or surf the Internet for social networking updates. Take 15 minutes from the journey to learn something new, and you will find yourselves charged up and ready to take on the day head-on. Recently, we have a new kid on the block. Jacob Sebastian, the founder of BeyondRelational.com has introduced a new section on the website that allows reader to learn something new each day! The rules are simple – if you learnt something today, share it with everyone! The section is aptly called – Just Learned. Isn’t hanging out on BeyondRelational.com’s Just Learned section cool? There is a reason why the above heading is in Red. Whenever you post anything online, please ensure that you pass on due, visible credit to the original author. Also, Remember that some authors might require an express written permission in advance of you publishing their content somewhere. Even after passing due credit and obtaining the permissions, ensure that you do not publish more than 25% of the original content. So, what are you waiting for? How will you use your lunch/post-dinner learning time today? If you learnt something today, Share it! This entry was posted in #SQLServer, Blog, Imported from BeyondRelational and tagged #SQLServer on June 30, 2011 by nakulvachhrajani.